This afternoon I finished a dress! We are taking a family vacation to Palm Springs and I just had to make a new dress! I wanted something easy that I could wear with sandals. Also, a dress I can slip easily over a swim suit. The fabric is a Rayon Spandex Jersey that I purchased at a local Seattle fabric store. The cap sleeves are cut on the bias to give the sleeves a nice drape. 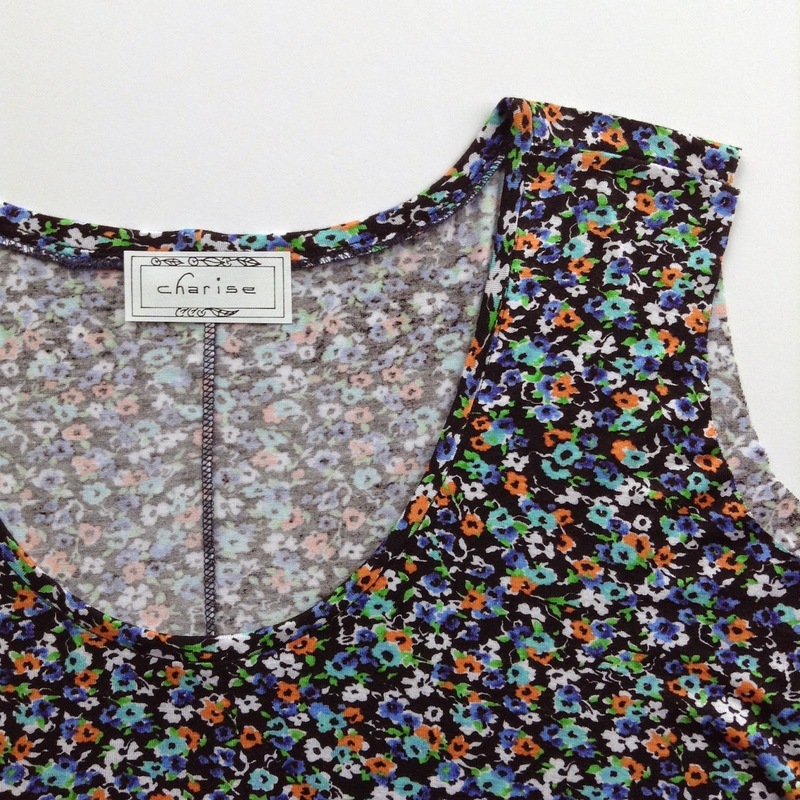 The underarm is finished with a double fold self fabric trim. I am really happy with the neckline finish. It is a single fold binding that is wrapped around the seam and stitched in the ditch so the stitching disappears. 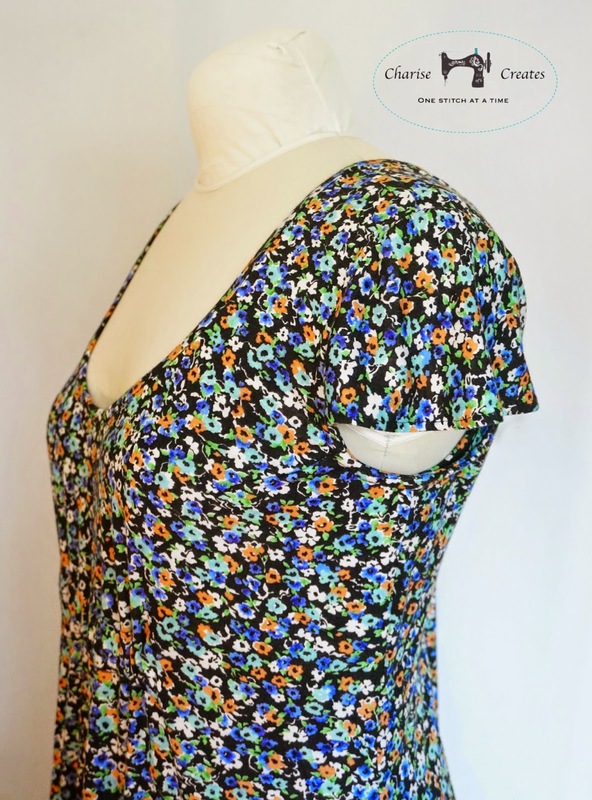 It is a beautiful neckline finish. 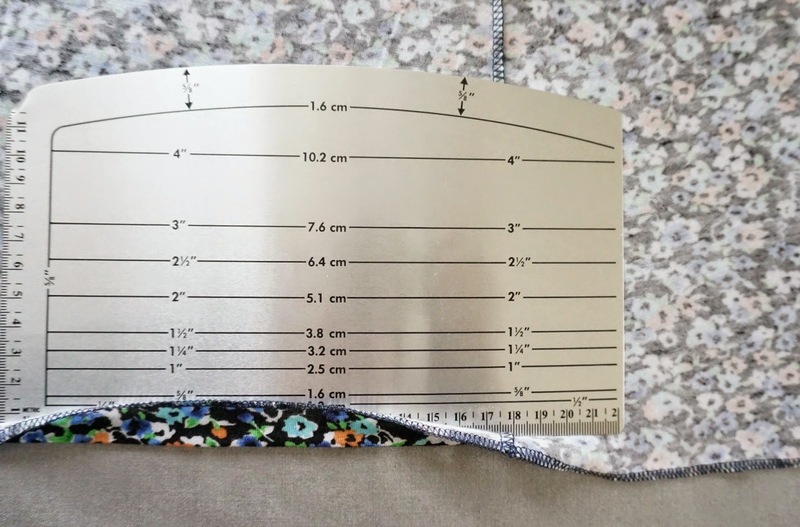 I used my Dritz Ezy-Hem to mark the dress hem. I overlocked the raw edge and then folded the finished edge to the wrong side. I lined up the finished edge to the 5/8" line and pressed right on the Ezy-Hem. It is made out of aluminum so you can press right on it! I pinned the hem in place and stitched from the wrong side at 1/2". 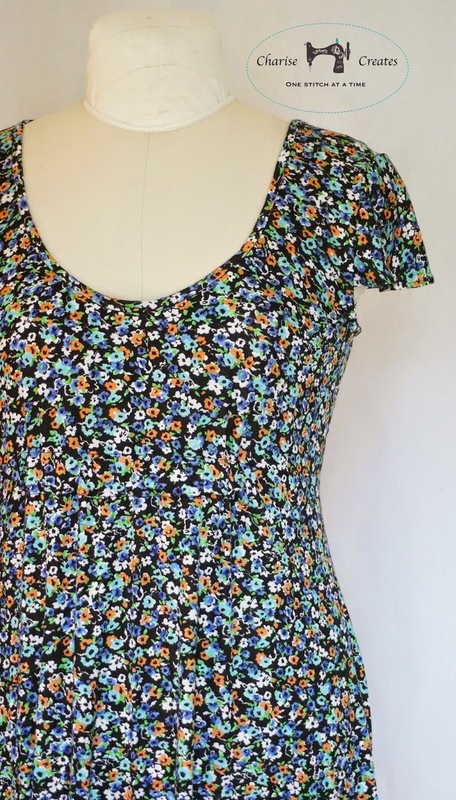 A Super Easy hem finish. Head on over to Freshly Pieced for some lovely Works in Progress. I hope you find some time for creativity today! Dritz Ezy-Hem, I had not heard of it, need to get one. Pretty dress. Your dress is lovely!! Thanks for the reminder of the Ezy Hem. One of those forgotten dressmaking tools!! 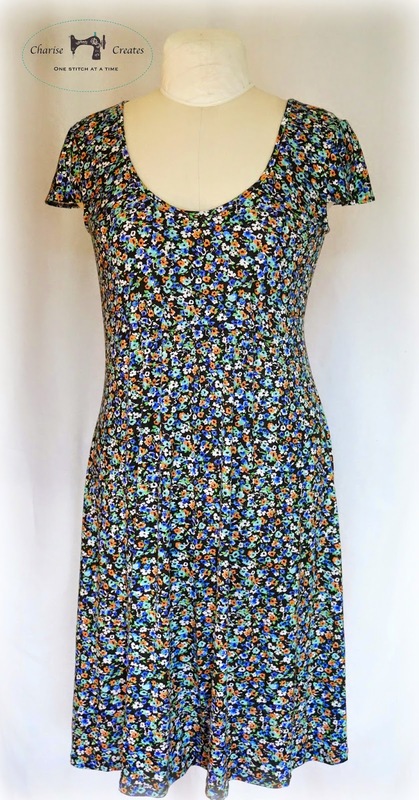 Charming & delightful little capped sleeve dress! Perfect for travel!! Such a lovely dress ~ you do beautiful work!